Going into next month’s theatrical release of The Curse of La Llorona, we knew the film had a lot in common with The Conjuring franchise. It’s produced by James Wan and Gary Dauberman, it’s a Warner Bros./New Line movie, and it’s set in the 1970s. However, now that The Curse of La Llorona recently held its world premiere screening at SXSW, a surprising fact has emerged. Not only does the Michael Chaves directed film have a lot in common with The Conjuring, it’s now officially part of that universe. As mentioned in Meagan Navarro’s review of The Curse of La Llorona for Bloody Disgusting, the film contains a small but undeniable connection to The Conjuring’s world. Actor Tony Amendola reprises the role of Father Perez from 2014’s Annabelle. Amendola’s Father Perez only appears briefly, but he’s there long enough to directly reference his encounter with the demon-possessed doll in Annabelle, firmly establishing that the two James Wan produced fright flicks share a fictional universe. With that in mind, one wonders if this means that La Llorona will remain a part of the Conjuring series going forward, and perhaps interact with Patrick Wilson and Vera Farmiga’s Ed and Lorraine Warren at some point. That would certainly be interesting. Of course, before anything further happens with La Llorona, we have to see how she fares at the box office. 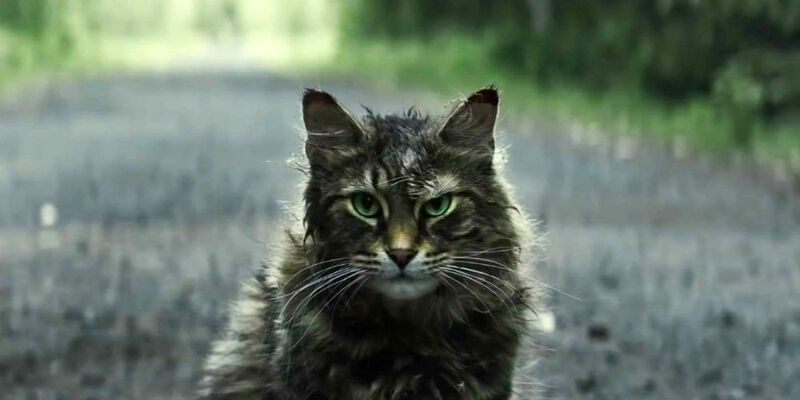 She’s got some big deal films surrounding her April 19th release date, including Pet Sematary, Shazam!, Hellboy, and Avengers: Endgame.